Gujaratilexicon is a landmark work in the history of Gujarati language containing resources of more than 45 lakh words. 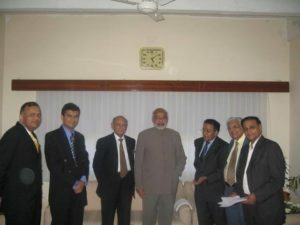 It aims to preserve, popularize and develop Gujarati language through the power of information technology. Lovers of Gujarati language can develop vocabulary, enjoy literature, read exclusive literature and join the mission through Gujaratilexicon.com. 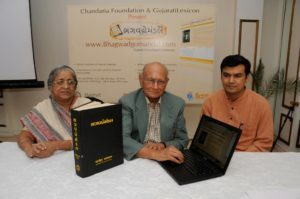 Gujaratilexicon.com project is the result of undying passion and relentless vision of 89 years young Shri R P Chandaria, who has spent two decades to prepare this lexicon. Since its inception in 2006, Gujaratilexicon has undertaken several projects like Lokkosh, Digital Bhagwadgomandal, Sarth Kosh, Crossword, Lets Learn Gujarati, Gujaratilexicon Mobile Application, Global Gujaratilexicon, Gujarati Games, eBooks etc. Digital Bhagwadgomandal is the biggest and the most prolific work in Gujarati. Visionary Maharaj Bhagvadsinhji of Gondal gifted the original Bhagwadgomandal to the world after 26 years of scientific and detailed work. This encyclopedic dictionary is a cultural milestone of Gujarati language. The Gujaratilexicon Team has digitized Bhagwadgomandal and created its digital avatar. The aim is to showcase the richness of such an indispensable resource for experts and lovers of Gujarati language. It is a treasure of knowledge and every Gujarati’s pride.